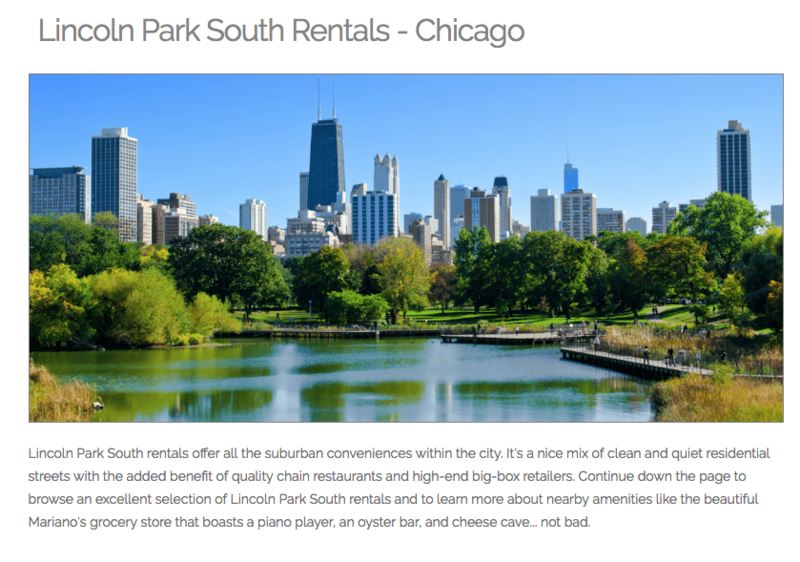 Client: Hot Spot Rentals, a free apartment-hunting service for renters in Chicago. Hot Spot Rentals acts as a middle man between prospective renters and apartment vacancies to find the perfect match. Needs: Massive website copy update to correlate with a massive website redesign. 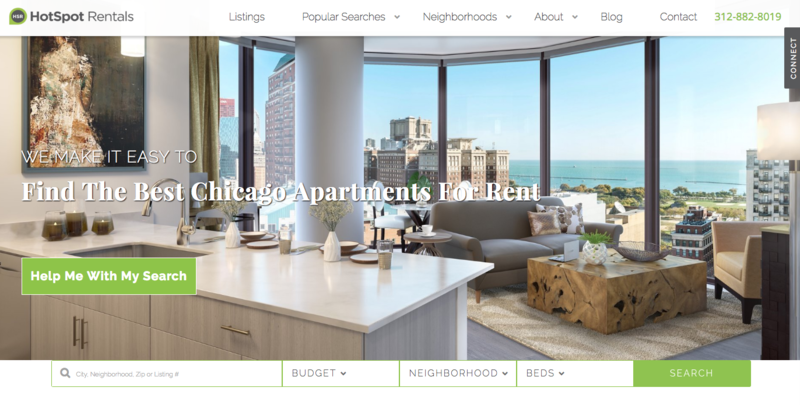 The client was looking for informative and friendly copy in the voice of the company’s owner that could educate prospective renters, appeal to search engines, and establish expertise. Complete revamp of copy including home page and comprehensive about section. 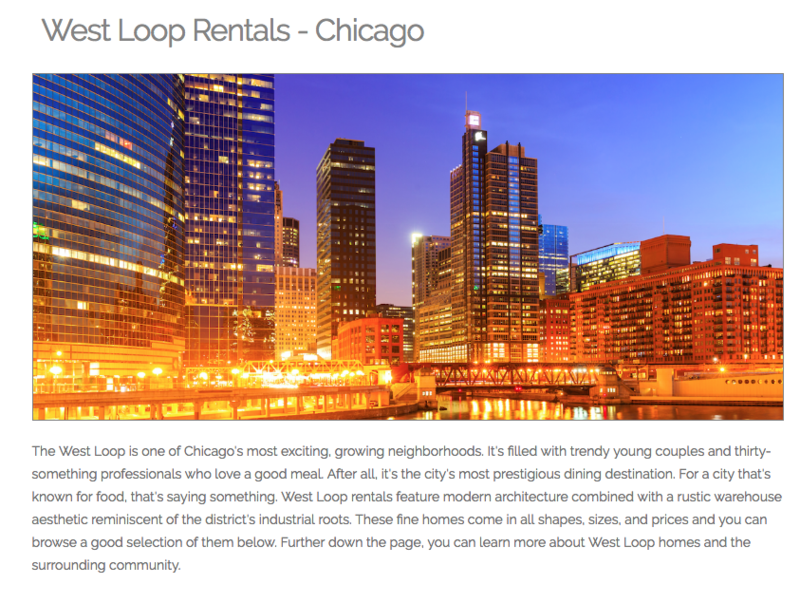 Extensive neighborhood guides covering the 12 different areas of the city that Hot Spot Rentals specializes in. Final draft that blended the owner’s voice and style with my copy recommendations.